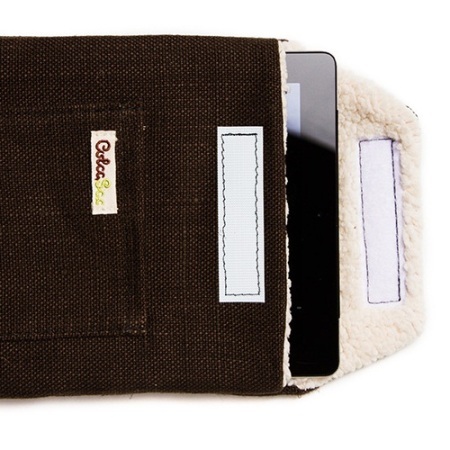 The Hanakapiai iPad 2/iPad 3 Sleeve features an all natural, heavy duty organic hemp basket weave canvas exterior and is lined with a very soft 100% recycled polyester fleece lining, perfect for safeguarding your iPad against dents and scratches. The Hanakapiai is made with brown, heavy duty natural hemp that is grown and harvested in rural China - it grows quickly and plentifully meaning it is a reusable source that won't harm the environment. It is grown without using any pesticides, is easy on the soil and is nature's strongest natural fibre. 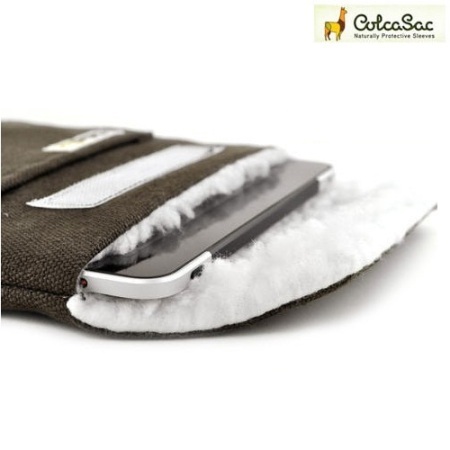 This ColcaSac will give you excellent damage and scratch protection thanks to its extremely thick inner lining that will also grip your iPad 2 / iPad 3 and keep it secure. 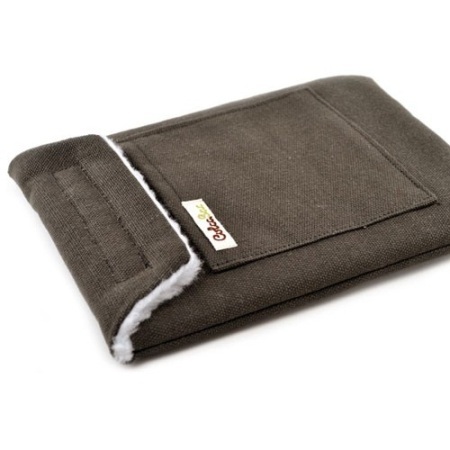 The velcro closure prevents any slips and is also thinner and quieter than traditional velcro, allowing you to easily remove your iPad 2 / iPad 3 whenever needed. The front pocket of the sleeve keeps your charger in place, ensuring that it stays there until you wish to remove it.